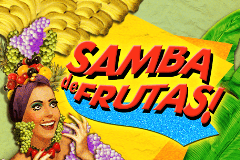 While many pokies feature different types of fruit across their reels, Samba De Frutas takes the concept to a whole new level, with Latin American dancers wearing elaborate headdresses piled high with bananas, pineapples and mangos. There’s even the occasional parrot thrown in for good measure. Carmen Miranda was a Brazilian film star popular in the 1940’s and 1950’s, who was famed for this sort of headgear. During World War 2, she was the highest-paid woman in America and Samba De Frutashas clearly been inspired by her antics, as half of the game is taken up with what looks like a film poster from the times, although she’s never actually referred to by name. The other half of this pokie sees an unusual set of 5 reels, where symbols are stacked 8 high and there’s the grand total of 100 paylines running across them. A nice Art Deco design surrounds them, while underneath the poster there’s a set of control buttons that give players betting options from just 0.10 to 100.00 per spin. It’s not just multiple types of fruit that will roll down these reels, as much of the game will be taken up by the traditional playing card symbols 9, 10, J, Q, K and A. These are presented in a suitable style and will tend to create the more frequent winning lines, which will come from landing 4 or 5 matching ones across a line, on adjacent reels running left to right.The 9, 10, J and Q are all worth 25x the amount staked per line when they stop on 4 reels, or 100x when they run right across the game, but the K and A are worth a little more, with prizes of 50x or 150x for the same combinations. It’s the picture symbols that add colour and create the carnival atmosphere of Samba De Frutas. They are also higher-value symbols, adding cash to the bankrolls of anyone who lands them in the right places, while each only has to appear on 3 reels to create a winning line, rather than 4 which is needed for the playing card icons. Blue and yellow parrots are worth 25x when landing on just 3 reels, 75x for lines of 4 and 250x when full lines of 5 are seen, and a couple of colourful toucans are valued at the same amounts. Each of these fills 2 positions on a reel, to make it easier to line them up favourably. The male and female Flamenco dancers, in vivid costumes, are the highest-paying symbols, and these energetic characters are 3 symbols high, with each paying 25x, 100x or 500x the line bet as they stop across 3, 4 or 5 reels at a time. Of course, as they are stacked symbols, landing these valuable combinations is made a little easier, but there are a couple of bonuses that will potentially make this pokie even more of a pleasure to play. A huge stack of fruit, precariously balanced on our main characters’ head, will be a wildcard symbol, meaning that it will fill in any gaps in lines of other symbols and complete a winning combination. 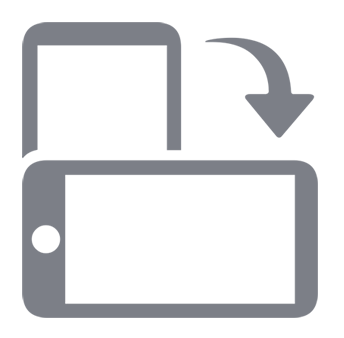 Because it’s stacked so high, it’s very likely that more than a single line will be completed, and if this symbol lands across the reels on its own, there’s wins of 50x, 250x or 1000x the line bet to be paid out. A pair of maracas will rattle up a bonus win of 2x the total bet when at least 3 land on the centre reel, after which they will start 5 free spins. It’s not many free games, but players shouldn’t despair, as they will see additional stacked wild symbols appearing throughout them, along with extra bonus symbols that retrigger the round whenever another 3 land on the middle reel again. This fun game is packed with the colour of a South American carnival, and there is a suitably festive soundtrack to go along with proceedings. It’s a distinctive pokie in more ways than one however, as the way symbols are stacked over 8 rows and 100 lines creates lots of winning opportunities as they spin down the 5 reels. Wins from the playing card symbols only come from lines of 4 or 5 though, so they are not as easy to land as it would first appear, but the stacked wilds can often help out by stretching lines across extra reels to create a winning combination. Because of the overall 1940’s feel to this game, it may not appeal to younger players, but they would be missing out on a nice Poker machine that anyone of any age should take a look at.